In theory, under the guarantee can be filled with CPU / GPU and heatsink surface cracks premise, thermal grease layer is thinner the better , after all, from the thermal performance is concerned, even the best grease than these metals, but copper and aluminum materials. The thermal conductivity of speaking in front of said parameter, the thermal conductivity of copper is high-grade thermal grease hundred times or so. In fact, many people fear that not enough grease, grease-coated sweeping movements more than N, the result will be? 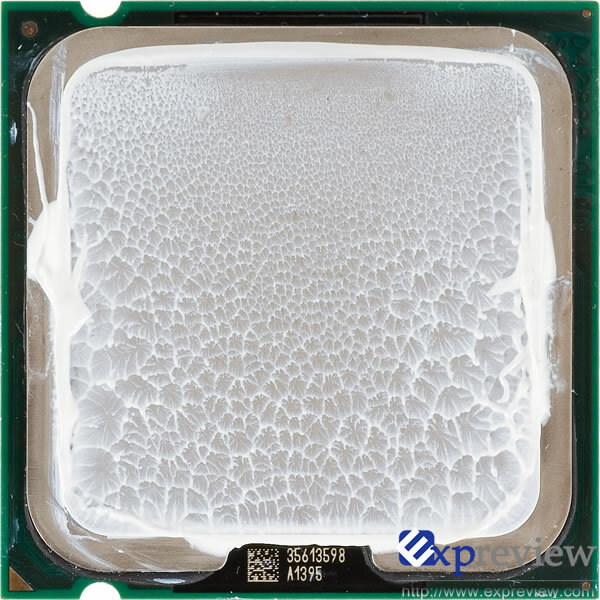 We do a simple test, using Arctic Alumina grease (Arctic aluminum), once coated amount, once intentionally painted more, in both cases the test CPU temperature conditions (room temperature 28 degrees, E6600 (7 * 500MHz), Zalman CNPS9700LED radiator, Foxconn MARS P35 motherboard, CPU voltage 1.55V). 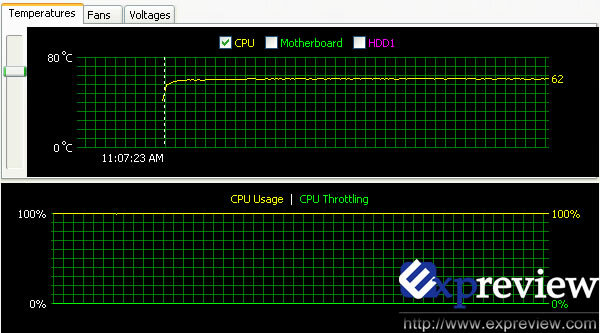 EVEREST software used to test the System Stability Test, which allows a high CPU load operation, record the temperature curve. Can be found, affect the thickness of the thermal grease layer is still very apparent from this test run, there is a gap between the two of 2 ℃ , so the gap is even larger than we imagined. Therefore, we again emphasize that, under the guarantee can be filled with CPU / GPU and heatsink surface cracks premise, thermal grease layer as thin as possible. 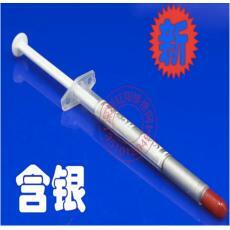 ◆ How to Apply Thermal Grease? 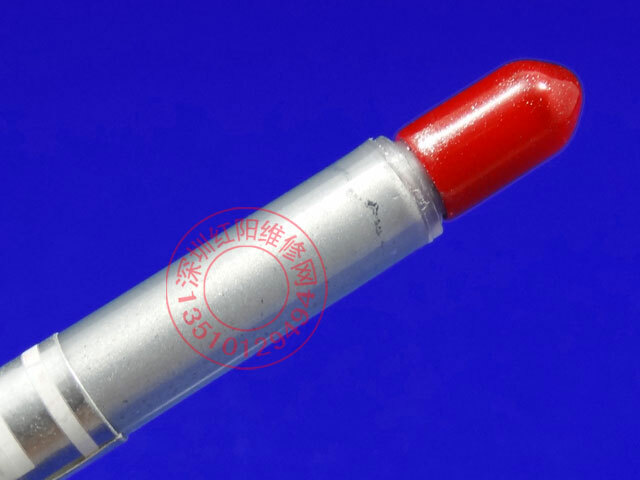 Apply thermal grease should be how there is not a very standard argument, we have launched on this issue had been discussed at the forum ( see here ), but there guideline, the key is to be applied uniformly, no bubbles, no impurities, although may be thin . 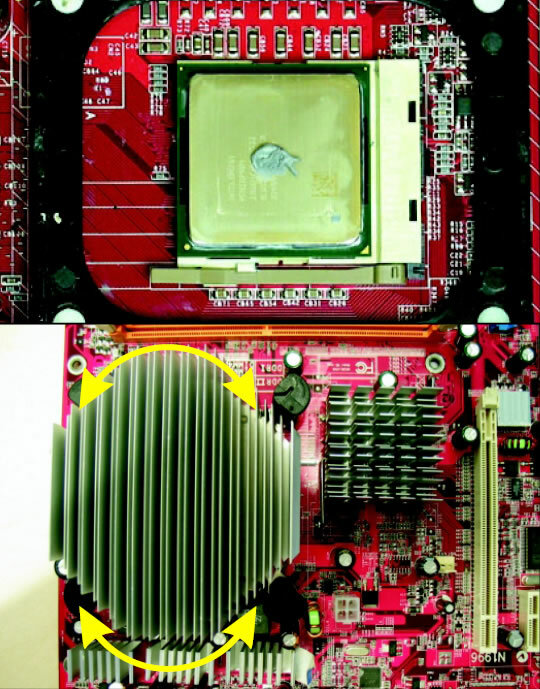 There are mainly two ways are applied, one in CPU / GPU such that the surface of the grease squeezed center, then the pressure against the heat sink grease squeezed uniformly, another way to grease applied in a uniform CPU / GPU and other surfaces. Obviously the smaller the surface area of ​​the first method is suitable heat source, the second method is more suitable for larger surface area CPU / GPU, such as the Intel Core 2 series processors, but is easy to get on impurities second method applied, it may produce bubbles , a lot of thermal grease product comes with a scraper or pouches to facilitate painting. arctic-cooling recommendation of the painting: In the center squeezed into a little grease CPU surface, then the pressure on the radiator, the arrow indicates the direction of rotation to ensure uniform expansion and grease without bubbles.